The biggest and the most popular soft drink manufacturer in the country and in the world is existing for over a hundred years now, but the realization that any amount of their product is not good for our health has just begun a few years back. Those carbonated drinks which have been circulating in the market generations through generations are somewhat silent killers, they are killing us softly and slowly because their negative effect to the human body is almost unnoticeable, especially if you are consuming it in moderation. Studies have proven that drinking too much soda or carbonated drink can cause an array of negative effects in the body, and it doesn't matter if it is a diet one. Carbonated soda drinks do not contain any beneficial nutrients, but typically contribute excessive calories and sugar to the diet. But let's accept the fact that we can't remove these drinks away from our system drastically, just to make sure we are living a healthy lifestyle. We can do that in a gradual way but we can't totally avoid them for they are anywhere and everywhere - fast foods, restaurants, convenience stores, stalls, PUV terminals, sari-sari stores and even vendors on rolling or mobile stores. Yes, soda or carbonated drinks are addictive and it might take a lifetime to rehabilitate ourselves from that addiction. But thank God, because in the search to give the human race a better life, a drink that is similar to carbonated soft drinks or sodas has come to life. 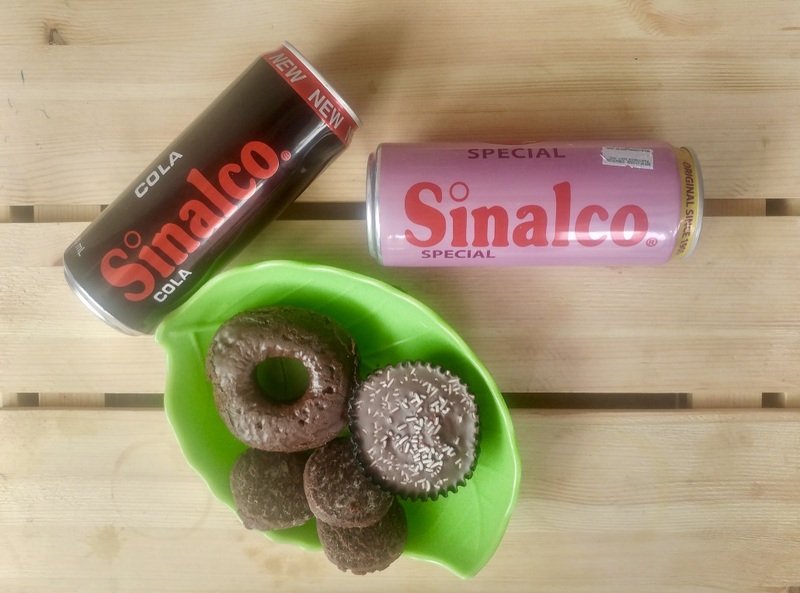 Sinalco International, a German company manufacturing non-alcoholic drinks introduces Sinalco, the oldest soft drink brand in Europe. I can't believe that there's a healthy soft drink out there which has been in the market since 1902! Sinalco is a different kind of refreshing soft drink because it is made of natural sugarcane sweeteners (no GMO’s) and is distinctively unique in taste. It has a smooth and light taste and won’t leave you with a bloated feel. In the Philippines, Sinalco is offered in 2 variants - the Sinalco Cola and the Sinalco Special which is very popular in Singapore. Both comes in a 330ml slim can - only in can containers, no plastic which makes it more eco-friendly than any other brands of softdrinks that exist in the country. The Sinalco Cola tastes like the regular cola drinks minus the harm. It is not as acidic as the usual cola - it does not irritate the eyes and the nose, which is a familiar experience whenever we opened a can of cola or drink it and burp afterwards. Sinalco Special, on the other hand, is a refreshing mix of 4 fruit flavors - lemon, orange, raspberry, and strawberry. It is a perfect refreshment that goes with any meal and it can be a dessert too because of its fruity taste but lightly sweetened. I first met Sinalco Cola and Sinalco Special in an event held in Miriam College last December 2018. I got attracted to it because the packaging looks luxurious for a soft drink. Well, anything pink attracts girls. So I asked their staff if I can have one and they actually gave me both flavors to try. When they told me it's a healthy alternative for the usual softdrinks in the market nowadays, I got curious and immediately wanted to know if that is true. I really can tell whether a softdrink is good or not because I am a bit acidic. Whenever I would drink even a little amount of carbonated soda, it would hurt my stomach in just after a few minutes and if I drank too much, I feel a little pain when I pee. Which is why as much as possible, I avoid soda and if I really can't avoid it, I would drink a lot of water right after to wash away the acid and the sugar. 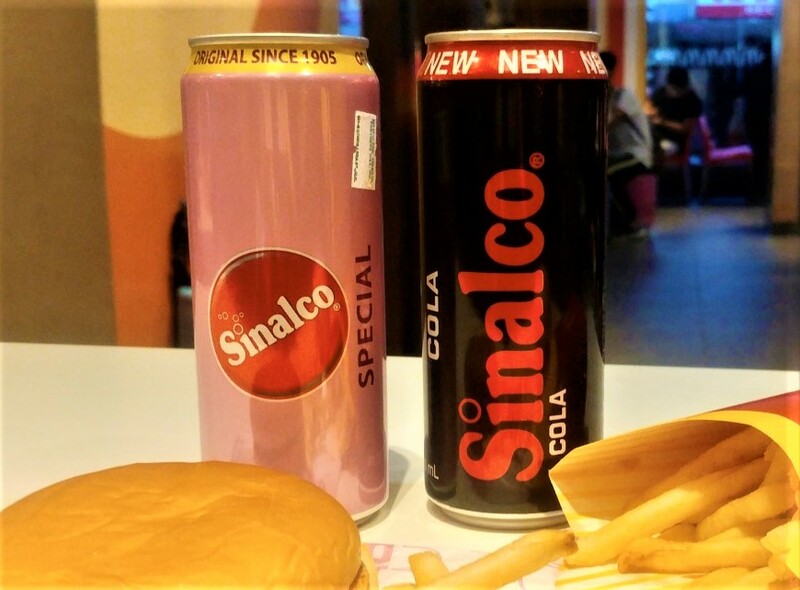 So I first tried the Sinaldo Cola, it tastes good just like the regular colas but it is not too sweet. After emptying a can, I did not feel any irritation in my stomach, and therefore I concluded: "Yeah, they're right, it's healthy." I brought the other one with me when we went to an event with my little one, right after the one in Miriam. On the way, the little boy got thirsty and asked if he can drink Sinalco. 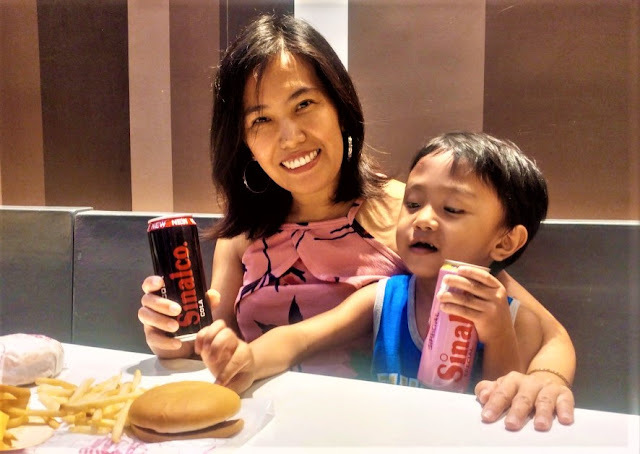 Having experienced how it tasted and having proven that it is a healthy alternative to softdrink, I never hesitated to give it to him. The little boy did loved the taste of the Sinalco Special because it's fruity. 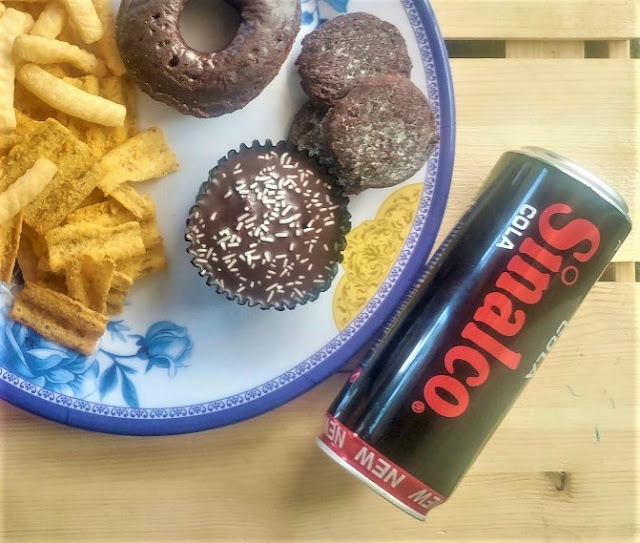 Me, as a parent, don't only want to give my child something delicious but of course, something that is not bad for their health and Sinalco is one of my choices. The second time I tried Sinalco was during the Blogger Babes Christmas Party. They were part of the celebration as they are one of the sponsors and they provided each attendee some Sinalco loots. Just the same, after I drank a can; I didn't feel any side effect - I just felt refreshed and satisfied. 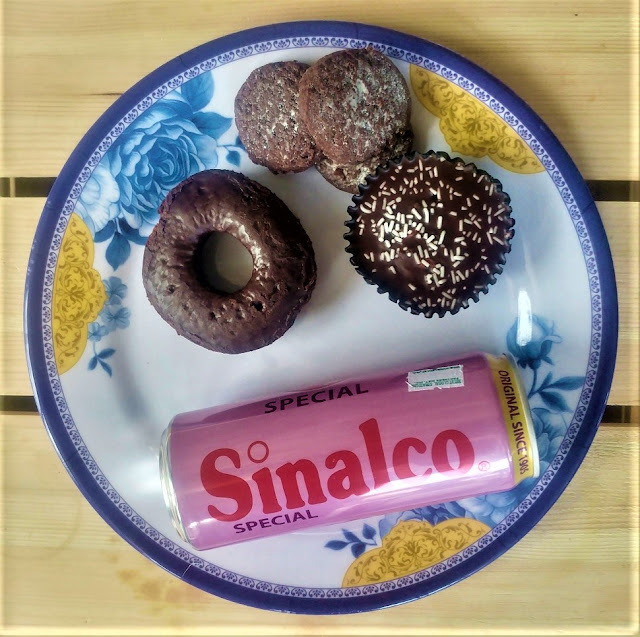 I actually don't include soft drinks in my grocery list but Sinalco changed the way I shop for our weekly stocks of groceries; and whenever we would dine out, I order dishes or meals that don't include soft drink because I already have Sinalco ready in my bag as replacement. These great products from Germany are now available in all 7-eleven stores and major supermarkets. O ----nly wants the best for you?